Learning to surf is a gift that will last a lifetime. 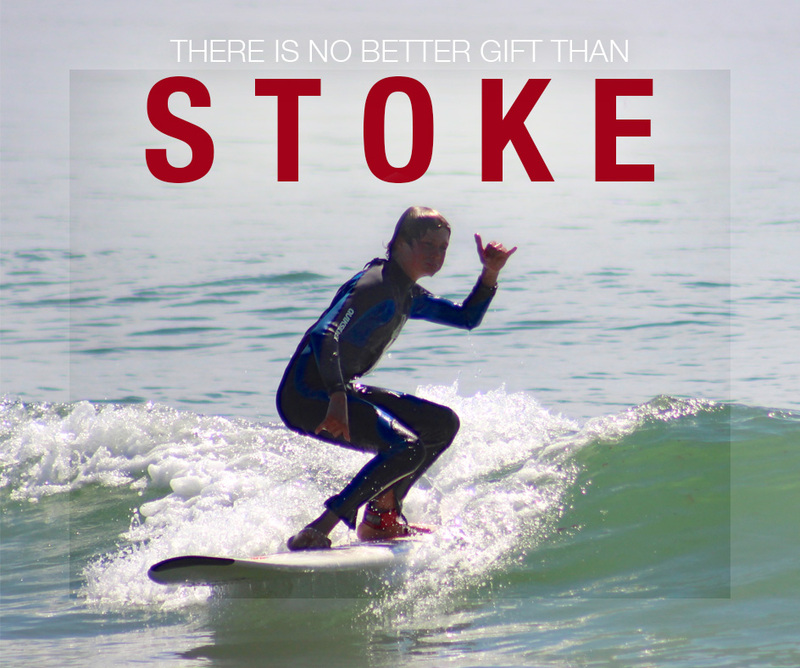 Whether you know someone who might want to participate in our day camp, or have a friend who has been wanting to try something new, the gift of surf can't be matched! 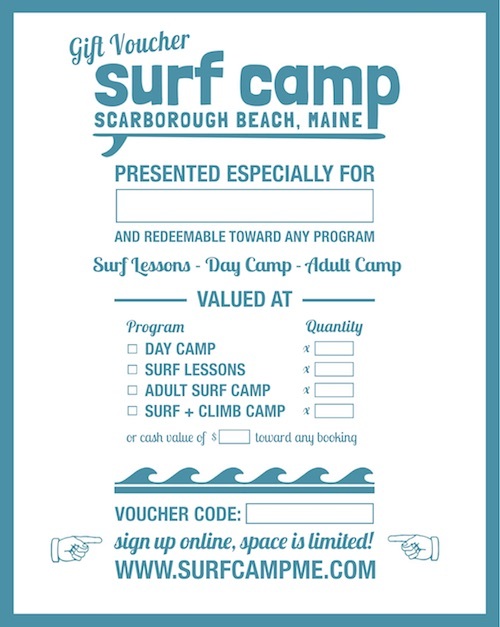 Gift certificates are available for both Surf Camp (kids age 9-15) and Surf Lessons (ages 9+). This is where we will send the voucher (via email). Note: we will send the voucher to you, and you can deliver it to the recipient. To complete your purchase, use the below button to pay with PayPal. Note: you do not need a PayPal account; you may use any major credit/debit card. You will momentarily leave the Surf Camp website before being automatically returned. Your purchase will only be completed once you see the confirmation message on the Surf Camp website. After you purchase your gift certificate, download a printable gift certificate that you can fill out with the information from your purchase and give to the recipient.